A ritual is lovely, but only if you also get results. Back in December, I was contacted by PR- agency via Instagram asking me if I would love to try Hawaiian Healing Pure Revitalizing Cream. After taking a look at their page and reading over the ingredients and proprieties, my answer was YES Please! 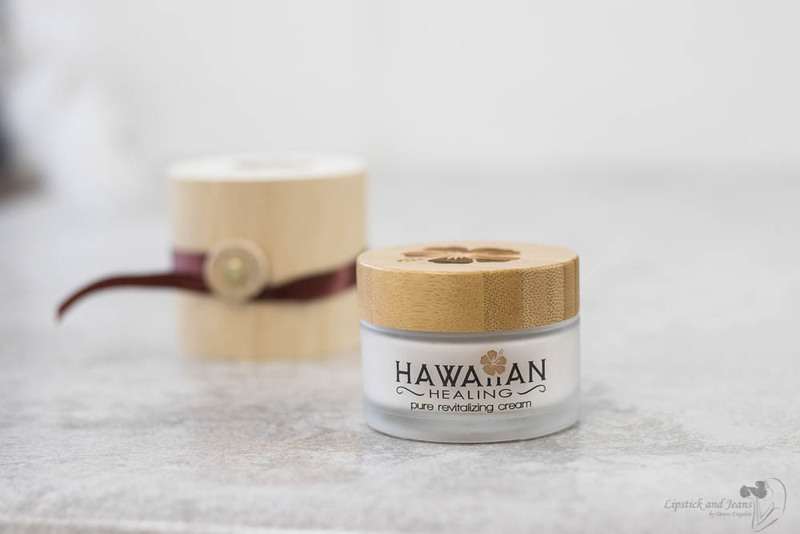 What’s impressed me most about Hawaiian Healing Pure Revitalizing Cream was not only how freakingly gorgeous is packed (but I must admit I was almost immediately sold ) but also the list of ingredients .. all natural, organic certified, and cruelty-free. Indeed the more I was reading, the more everything sounded like a dream. I had to try! When the package came in, I was so excited! 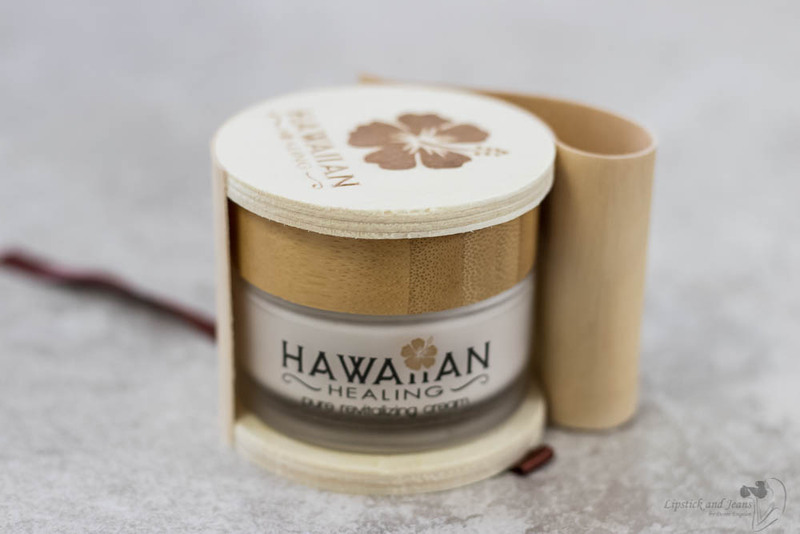 Hawaiian Healing Pure Revitalizing Cream packaging is so luxurious and spa-like, beautiful neutral colors carton box starring a hibiscus flower, with both instructions on how to use the product and a full ingredient list. Big like for that! I love when brands put their ingredient list on the package and when you get some directions on how is best to use their product. I know we live in a beauty-obsessed decent, but still, I find some guidelines are necessary. 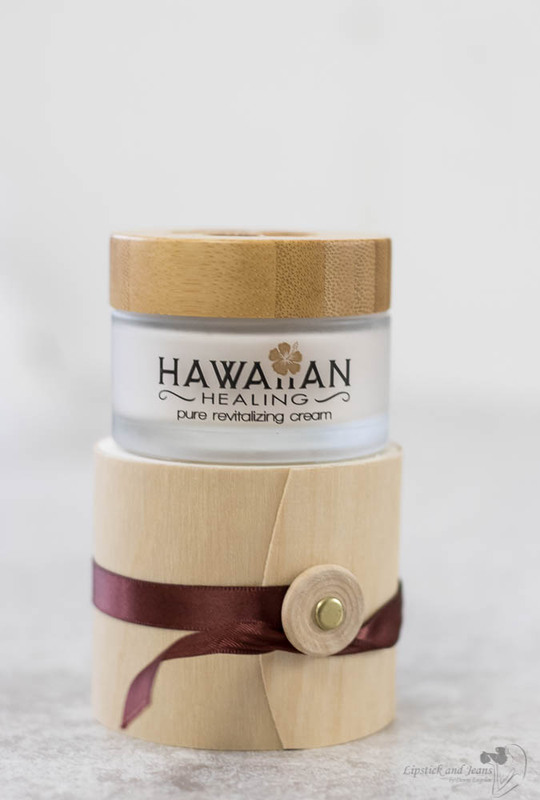 Upon opening the Hawaiian Healing Pure Revitalizing Cream, I found a beautiful bamboo container wrapped in a brown satin ribbon with the cutest spatula on a side and a thank you note ( that is so cute ) and a 20% discount code on the next order. Nice touch! Opening the bamboo box is like a ritual and reveals the luxurious glass jar with bamboo lid with am hibiscus flower engraved onto it. The cream itself is an off-white with a gentle botanical smell, keeping that spa-like like vibe to it. Rich and nourishing, when I applied on my hand, my skin drank it immediately without leaving any greasy residue behind. And the smell faded very quickly into nothing. 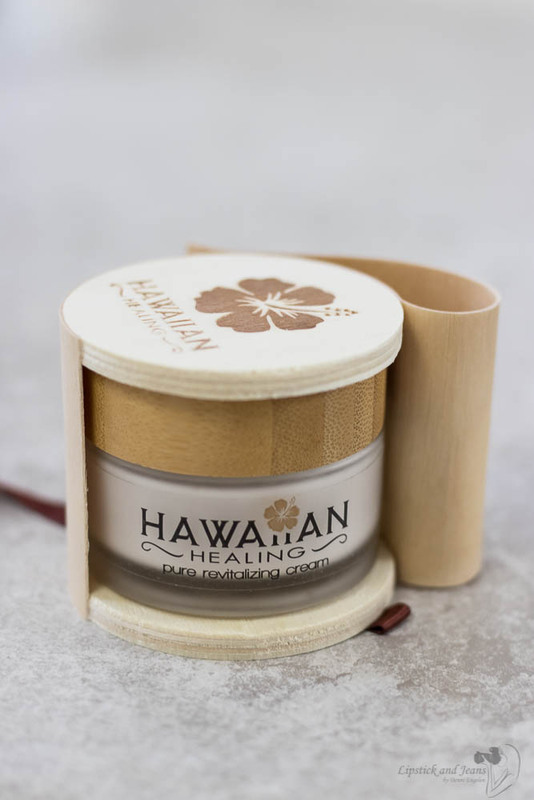 Hawaiian Healing's Pure Revitalizing Anti-Aging Skin Cream you will feel refreshed, rejuvenated while experiencing an immediate reduction of fine lines and wrinkles leaving you with a youthful, natural glow. Our pure revitalizing skin cream is a luxurious, spa quality natural face and body cream. 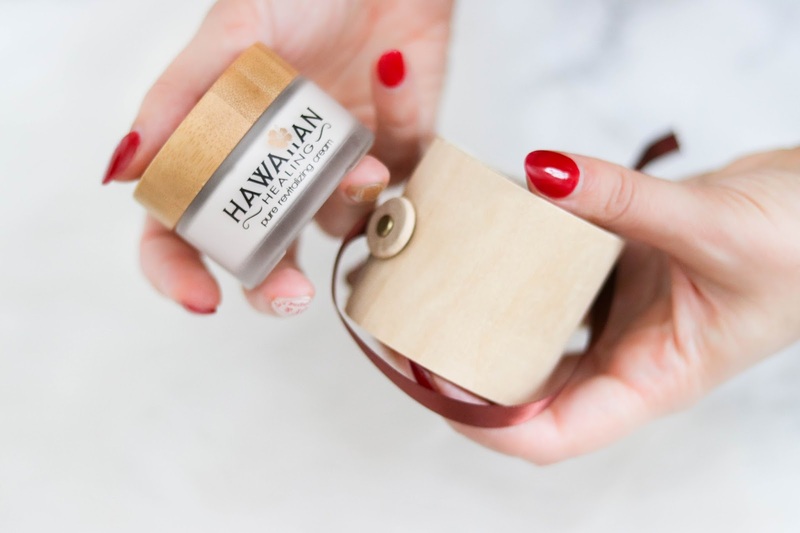 This one of a kind skin cream is non-greasy, lipophilic (absorbs into the skin very quickly) allowing our 19 amazingly powerful ingredients primarily sourced from Hawaii to penetrate, nourish and revitalize your beautiful skin. Herbal, not necessarily good but then again real skincare doesn't have to smell good. What I loved the most about this cream is how long it keeps my skin feeling moisturized. Between lack of sun, harsh rains, cold, whipping winds, and dry heating systems, Dutch winters are great at sucking the life out of my skin and with it every drop of moisture, leaving me dry sensitive irritate and lackluster. I’m chronically dry anyway and often feel dehydrated in the winter months. But with Hawaiian Healing Pure Revitalizing Cream my skin feels soft and plump all day even in the days I went to work by bicycle. 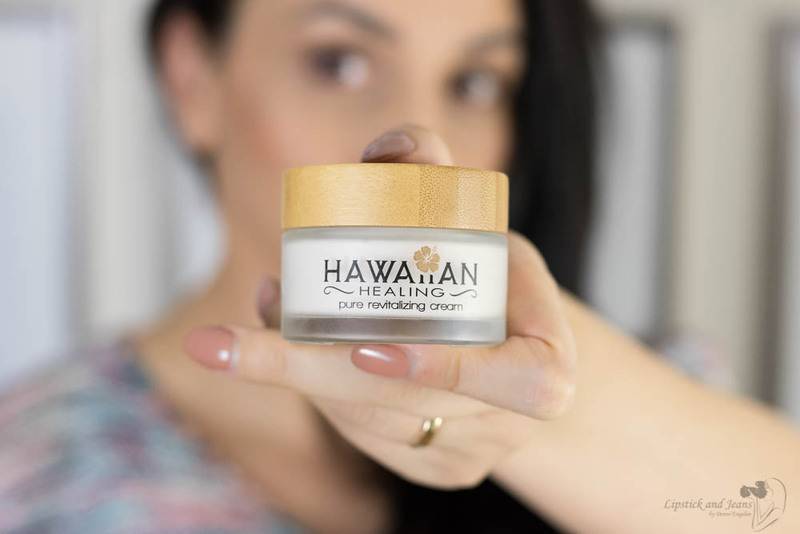 Also, I find it to be a good base for makeup, Hawaiian Healing Pure Revitalizing Cream has a slight stickiness to it, keeping makeup on all day. But the most I love using it in the Pm because leaving this cream doing its job all night (together with my others products I use) it gives me a beautiful glow! 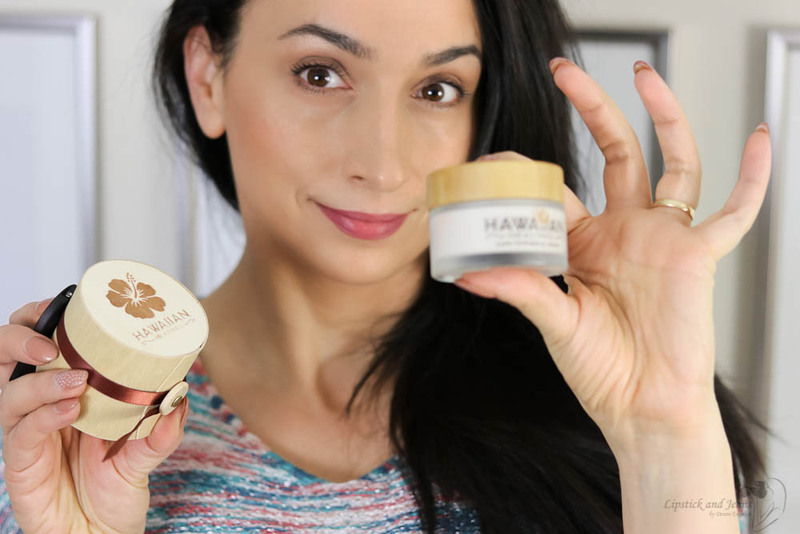 Real, serious glow and not only Hawaiian Healing Pure Revitalizing Cream makes my skin look so fresh and awake that I have no problem heading out completely bare-faced. While analyzing the ingredient list, I found that some of the ingredients can be comedogenic. Although I had no problems whatsoever with it, I thought you might want to know. Also not a con but for some of you might be slightly off-putting SPF factor in it, so there is a separate product needed when used for daytime especially if you use retinol or acids or (you are lucky, and I’m so jealous right now ) you live in sunny places. Yes, I would repurchase this cream! This appears to have some really good ingredients. I'm happy to see that they are all natural. Also really like the packaging. I don't tend to suffer from dry skin much, but I can imagine this is very moisturising. Thanks for sharing! I was about to ask you whether the cream was cruelty free and vegan and then lo and behold you said it was indeed cruelty free and vegan which makes me so happy as a cruelty free blogger. It is pricier than I would normally pay but I like that you said it did keep you moisturized so that is good! How cute is that packaging! I am in dire need of good moisturizers, this winter has been particularly nasty. Will definitely look into this more. The packaging is very sophisticated. It sounds like a great product and with it being natural and organic that is a definite bonus. 6 weeks is plenty of time to give a good honest review. I like the packaging! Anything that is natural usully does smell herbal, but like said this skin care when need to "heal" dry skin, you sont mind it. Wow, I'm so happy that this is certified organic and cruelty free cream. Yes, we need some real hydrating cream during these harsh winters and even I'm looking for some one like Hawaiian cream. Oooh, this product looks right up my alley! I love that it is vegan and cruelty free, and it looks like it works amazingly! Oh my...I spent two winters in the Netherlands and those were really tough on my skin, just as you've mentioned above. I'm so happy to read that this is an all natural beauty products (as I'm only using green beauty products) and after reading your review I'm seriously considering to try it. Oh this sounds great although I prefer a cream which you can use all over and isn't too heavy around the eyes. I love that it's cruelty free though. The packaging is very beautiful and unique. I'm loving that this product is also certified organic, cruelty free and vegan. I lived in Hawaii for a year and all the local have beautiful skin. I agree I love when a cream leave your skin feeling wonder all day . Sounds like it is a good product, and I do like the look of the packaging. It's also good to know they produce a cruelty free product. I think I will have to show this to my girlfriend. Being cruelty free itself is one of the best things. I love that this moisturizer is organic and does not contain any of those nasty harmful ingredients. Thank you for your hones review. I might as well pick up a jar and test it out. Not what I use but yes worth sharing to my girlfriends. Thanks for the share.